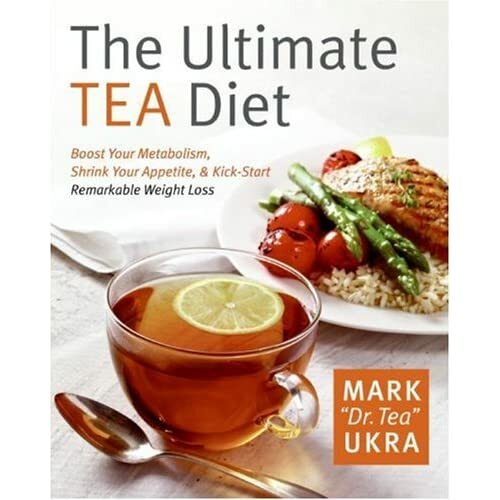 On January 1, I cozied up with my copy of The Ultimate Tea Diet, steaming mug of coffee in hand, and by page eleven I was firing up the teakettle. I have read this book and found it to be totally fascinating and informative. I have already started the diet and have started shedding pounds but more importantly inches! It's great... they are just melting away. Plus I have more energy and feel great. I bought some of the craving teas on line and love the way they taste. I have a real sweet tooth and they have really helped me stay away from my daily dose of candy and ice cream. And remember—of all the varieties of tea, green tea is thought to be the best at helping you lose weight, as it contains the highest levels of green tea polyphenols, including one found only in green tea—EGCG (epigallocatechin gallate). Mr. Ukra has promoted his book, diet, and recipes on Good Morning America. Mix together the olive oil, juice of 1-1/2 oranges (set aside the other half0, pepper, salt, chopped rosemary, and dry tea. Pour this marinade into a large resealable plastic bag. Add the chicken, seal the bag and refrigerate for at least 30 minutes. Heat a grill pan or barbecue until hot. Remove chicken from the bag, discarding the remaining marinade, and grill until browned on both sides. Thinly slice the remaining orange half and serve with the chicken. Decorate with a sprig of rosemary.